Thelma is an absolute sweetheart. 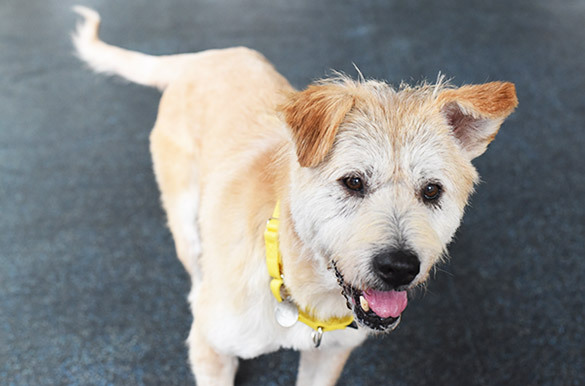 This gentle girl is a beautiful Wheaten terrier mix who has a great temperament. Thelma is the perfect mellow companion who gets along with everyone she meets. 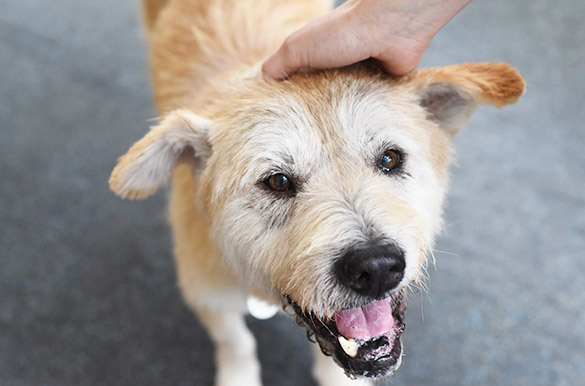 Visit Thelma at the ASPCA Adoption Center today, and we think you’ll want to take this sweet girl home! Big fan of: Thelma is completely content with a low-key lifestyle. Her perfect afternoon would be relaxing by her adopter’s side, enjoying some peace and quiet, and then taking a nice walk together. Thelma likes meeting new people as well as being pet and stroked. Not a fan of: Unusual objects, like bouncing basketballs, make Thelma nervous. Our Behavior team can give you some tips to help make Thelma feel more at ease when out for a walk. Special features: Thelma will stick right by your side when out for a stroll. She walks very nicely on her leash. Thelma likes to say hello to other dog friends, but is more reserved than playful. 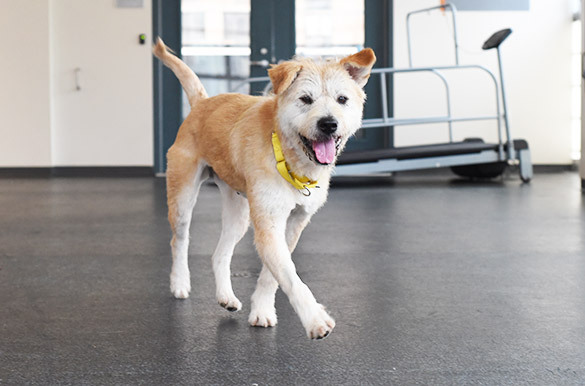 Thelma’s friends at the ASPCA Adoption Center have noticed she prefers to go to the bathroom outside, and with guidance and supervision, she will quickly adjust to her new home. This beautiful dog will require some occasional brushing. Dream home: Thelma is a great dog for a first time or inexperienced adopter. She is interested in joining a home with kids ages 8-and-up.